Will Scarlet, heir to Shackley House, has led a charmed life, despite the fact that his father has been absent for years, fighting in the Crusades at the side of King Richard the Lionheart. Will spends his days getting into small bits of childish trouble and generally ignorant of the world around him, but, at the age of thirteen, the political landscape in England is growing tense and even Will can no longer ignore the dark changes in power. King Richard’s brother and his corrupt lackeys have overrun England and rule with a violent fist, exploiting the masses and using fear to accomplish their selfish goals. When Shackley House is pulled into the turbulence and his uncle is murdered, Will begins to realize just how sheltered and naïve he’s been. Forced to flee his childhood home, Will nearly dies, but is (reluctantly) saved by a group of ragtag bandits who call themselves the Merry Men. As Will embarks on his own crusade for revenge against the powerful men that have wronged his family, he inadvertently sets into motion the rise of the dashing hero known as Robin Hood. For some reason, I had the impression that this book was a complete retelling of the Robin Hood story and it would, therefore, focus on Robin Hood. It’s actually a Robin Hood origin story, so there isn’t an actual Robin Hood character until the end of the novel… which is a relatively important detail to have overlooked because I kept wondering where Robin Hood was. Still, I really enjoyed this novel, especially once I figured out the origin story bit! When we first meet Will Scarlet, he’s naïve, immature, and wholly ill-prepared for the real world. But the end of the novel, he’s a strong young man with a strong sense of morality and ethics, despite the fact that he’s joined a group of bandits. Such is the magic of the Robin Hood story, readers of all ages come to realize that good and bad aren’t always obvious… that it often takes an underdog to incite necessary change. Many of the characters within Will in Scarlet, including Will, are pretending to be something they aren’t, but, by the novel’s end, they’ve all proudly accepted who they are … and who they are meant to be. One of my favorite characters was Much, a member of the Merry Men, who is actually a girl disguised by necessity as a boy. Though disguising herself as a boy allows Much more mobility and keeps her safe, in the end, it’s being true to herself (and, more literally, dressing as a girl) that helps saves the day! 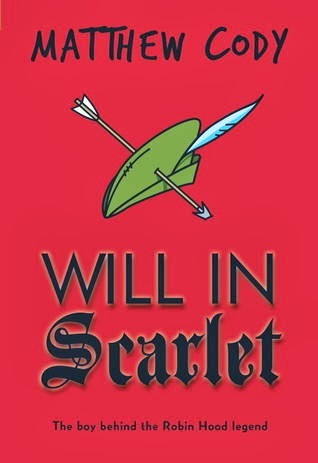 Lots of action, plenty of secrets, hidden identities, and a smattering of humor make Matthew Cody’s Will in Scarlet is great middle grade read. I'm so glad the 'missing' Robin Hood didn't spoil your reading experience! This sounds like great fun! 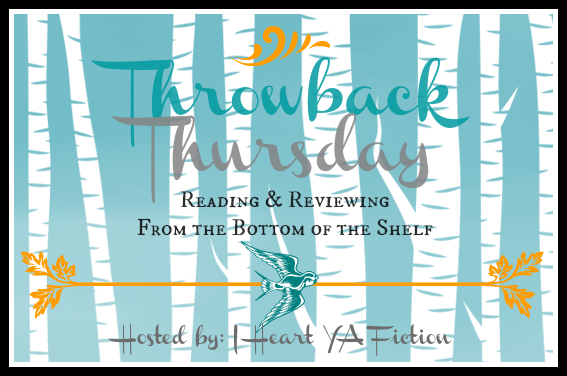 Thanks for participating in TBT! This sounds like a great read! I love Disney adaptions, and this definitely sounds like it would be right up my alley! So glad it was sufficient for you Sara...the action, secrets, hidden identities, and humor definitely seem like they'd combine to make one heck of a novel! Definitely going to have to check this one out at one point! I hope you do end up reading it, Zoe! It's such a quick read too, which is nice. You could totally use it for a palate cleanser between intense or long books! Please do, Zoe! Can't wait to see what you think of it!! I feel like I didn't understand the grandmother because she was horrible, nevermind where she was from! She wasn't ever redeemed either... Gah, I get upset just thinking about her terribleness! Book Trailers: Like or Dislike? Returning to Blogger Appreciation GIVEAWAY!